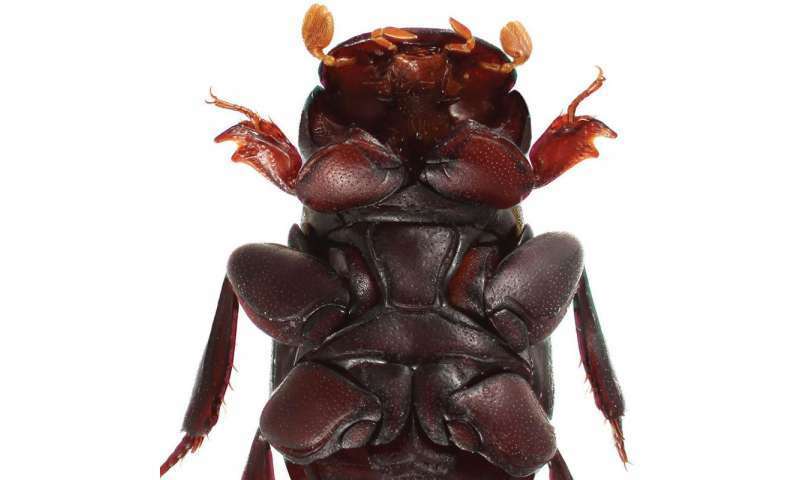 A team of Japanese scientists found and described a new species of scarab beetle from Cambodia. The beetle was named Termitotrox venus, after Venus - the Roman goddess of beauty and love. The study was published in the open-access journal ZooKeys. Mr. Kakizoe and Dr. Maruyama from the Kyushu University in Japan covered the new scarab beetle from fungus garden cells during their research in Cambodia. The species belongs to the Termitotrox genus and is only the second representative of its to have been found in the Indo-Chinese subregion after the discovery of T. cupido in 2012. The close relation between the two is the reason why it was named after Venus, often illustrated next to her male divine counterpart, Cupid. Seven out of the eight recovered samples were found in the fungus garden cells of a termite species, Macrotermes cf. gilvus, where they were camouflaged and moving slowly so that their collection was hindered. The researchers found that the termites are usually indifferent to the T. venus species, but the beetle is also treated amicably at times. 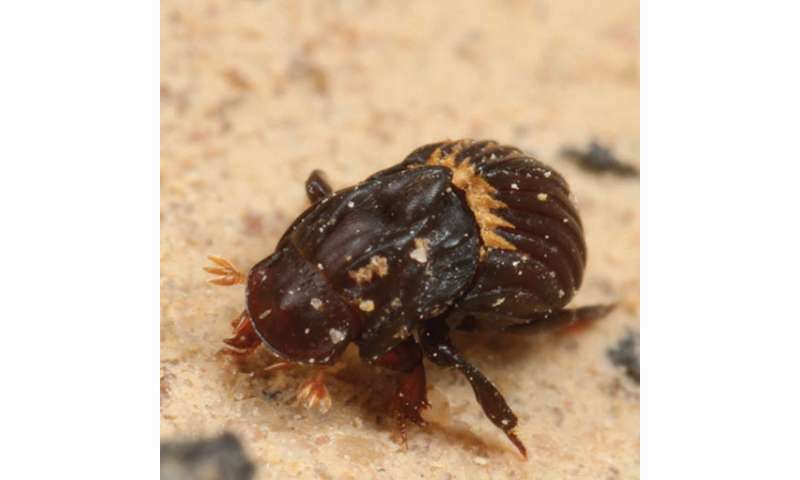 Compared to its relative, the T. cupido, the T. venus beetles are larger. According to the scientists, this is due to their different hosts.